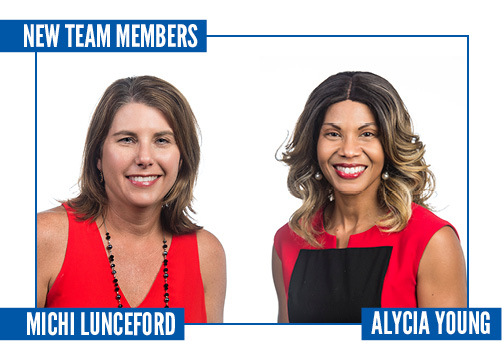 The United Way of Southwest Alabama (UWSWA) has added two new members to the staff. Michi Lunceford is the new staff accountant and Alycia Young is the new Manager of Donor Relations. Both ladies have a wealth of experience and are excellent additions to the team. Lunceford joins the team after serving as Chief Financial Officer for 13 years with partner agency, St. Mary’s Home. She in originally from Choctaw County in the UWSWA’s service area. She obtained her Bachelor of Science in Accounting from The University of West Alabama in 1995 and her Master of Accounting from The University of Alabama in 1996. She is a Certified Public Accountant with more than twenty years experience. Lunceford has been married for 19 years and has 2 children. Young has been employed previously with Cromwell & Associates and the City of Mobile Municipal Court. She received a Bachelor of Arts degree from the University of South Alabama. She has volunteered with Habitat for Humanity, Cycle United, and was a campaign coordinator for the Mobile County Revenue Office.